Kim is a director in our Taxation Advisory unit and provides specialist tax advice principally in the areas of income tax, CGT and GST, as they apply to privately held family groups, and high net worth individuals. Kim has a particular interest in helping clients deal with business restructures, family succession, estate planning and assisting clients and their legal advisers in understanding the taxation issues related to family law and dispute matters (expert reports). Kim has over twenty years’ experience helping clients piece together the ever-changing and increasingly complex world of tax. Joining Vincents in 2009, she was promoted to Director in Taxation Advisory in 2012. 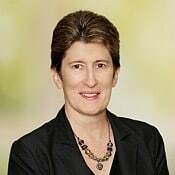 Kim is currently the deputy chair of the Tax Institute Professional Development Committee (Qld) and has delivered tax related papers for the Institute of Chartered Accountants, Television Education Network and Legalwise. Kim acted as a workshop leader for the Tax Institute's 26th Noosa Tax Intensive in 2018.